Every author’s dream was to write for the Saturday Evening Post during this era, and Wodehouse was no exception to that rule. He was, however, exceptional in his success with the Post; for twenty-two years they published nearly everything he submitted: 21 serialized novels and dozens of short stories and articles. Here are all the Wodehouse stories and novels that appeared in the Post before 1924. Items with annotations are flagged with the symbol ✎ below. The Saturday Evening Post traces its roots to Benjamin Franklin. But it really became the most widely circulated weekly magazine in America after Cyrus Curtis purchased it when it was nearly defunct in 1897 for $1,000. The magazine gained prominent status under the leadership of its longtime editor George Horace Lorimer (1899–1937). Curtis Publishing Co. stopped publishing the Post in 1969 after the company lost a landmark defamation suit and was ordered to pay over $3 million in damages. 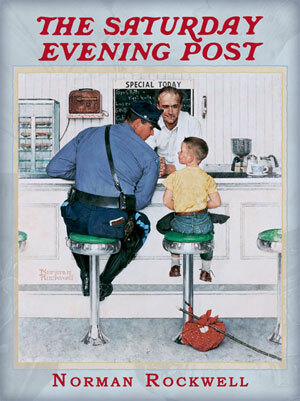 The Post was revived in 1971 as a quarterly publication. As of the late 2010s, the Saturday Evening Post magazine is published six times a year by the Saturday Evening Post Society, which purchased the magazine in 1982. It is famous for the quality of its illustrators, the most notable being Norman Rockwell. Other popular cover illustrators include the artists W. H. D. Koerner, N. C. Wyeth, J. C. Leyendecker, John Clymer, and John E. Sheridan. 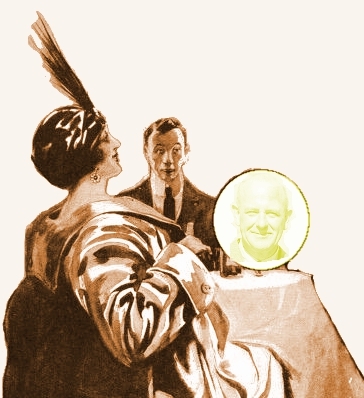 Wodehouse published 21 serials in the Saturday Evening Post, and it became his magazine of choice in the United States.